One of the things I love best about the Internet is that it gives me the ability to find beautiful work by plush makers around the world. In the past, hunting for this sort of work was really difficult. I was dependent on a few images sporadically published in obscure magazines with no way to see a wider range of an artist's work, or find out more about her process. Even though it's much easier now to get exposure to what other plush artists are doing, it can still be hard to find people who are truly doing something brand new. I get so excited when I find one (and Pinterest is a great way to make these discoveries) and today I thought I'd show you the work of four new-to-me artists who are doing just that. 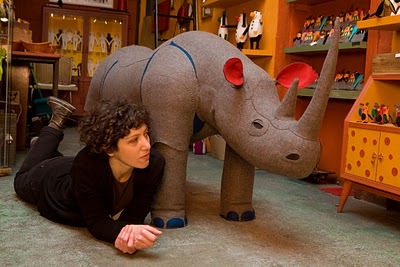 Their work is fresh and charming and encapsulates everything I love about sewing three-dimensional characters. Mariela is from Barcelona and she makes breathtakingly beautiful (and big!) 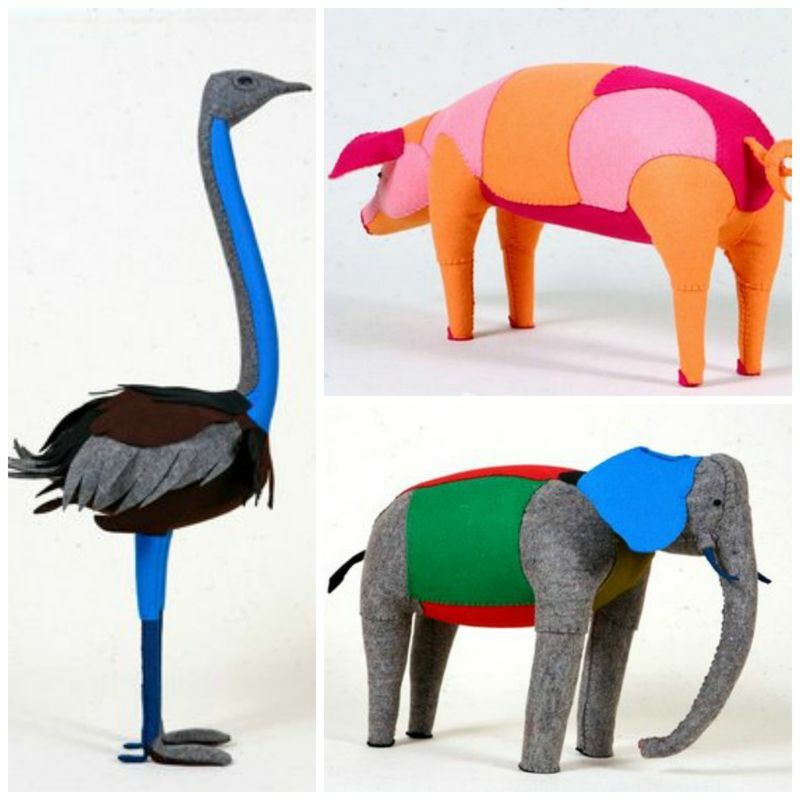 animals from felt. That photo of her next to the gorilla kills me. It's just so so good. Take a look at Mariela's blog to see more, and be sure to check out the penguins. Sil is from Brazil has a wonderfully cartoon-like style. Her noses are the best. I love how liberally she uses buttons and beads and trim. These are like children's book illustrations come to life. Check out more of Sil's work on her blog, cleverly titled Sil From Brazil. BellziPlushi is a US-based handmade softie company run by siblings (they only refer to themselves by their initials: N and S). Their toys are made from super soft minky and have the proportions of anime characters. I love the consistency of design here. The same basic body, limbs, and head can be altered to create so many different characters. That raccoon is melting my heart. Take a look at BellziPlushi on Etsy and on their own ecommerce site for more. Andrea Vida is from Budapest and she makes the best sloths ever. Seriously. She also makes an array of other animals that are very special. Look at that mole! Take a look around Andrea's Etsy shop. She's got a pretty great frog in there. 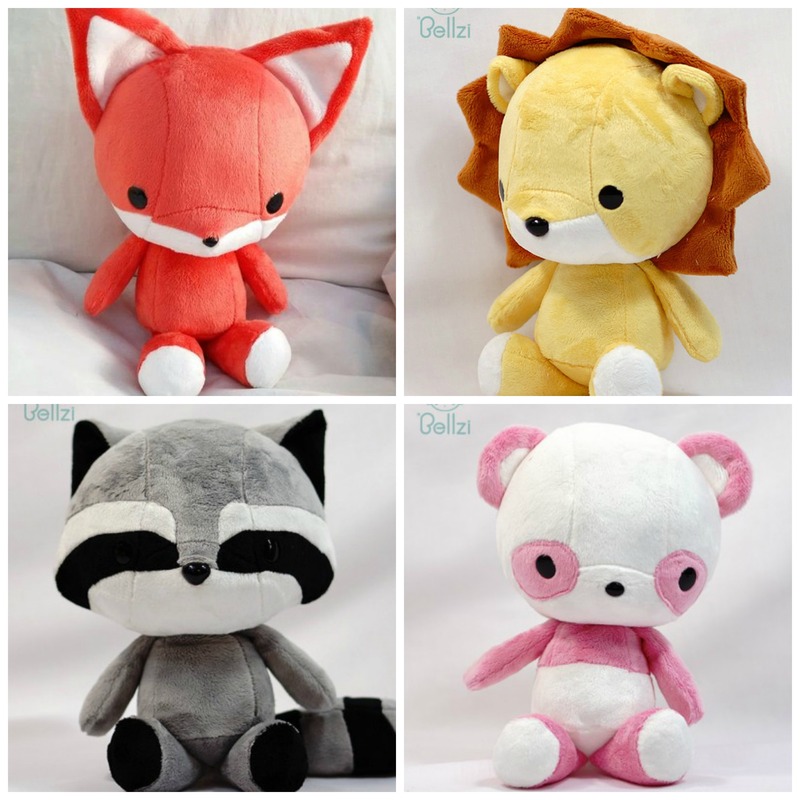 Do you have some favorite plush-makers to recommend? It's so exciting to discover new artists so please tell me about them! It’s my pleasure to be included in such a talented company! 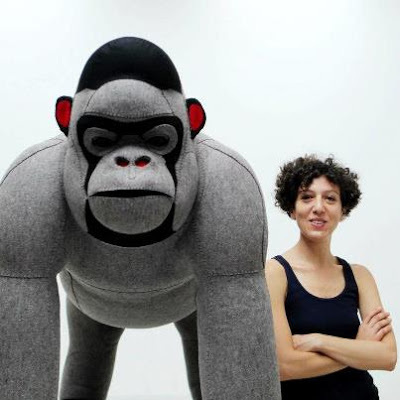 Mariela’s Mighty Gorilla is fantastic, as well as her giant anteater (my favorite) which is in her blog. 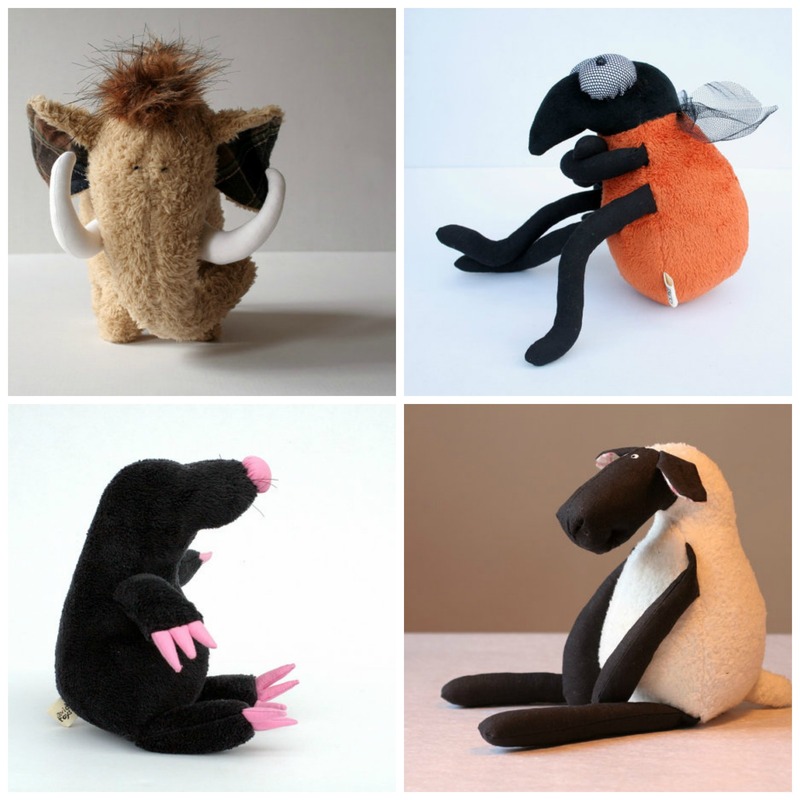 I’ve been paying more attention to stuffed creatures since discovering your blog, and it’s fun to see how many styles there are. These are all so different from each other! 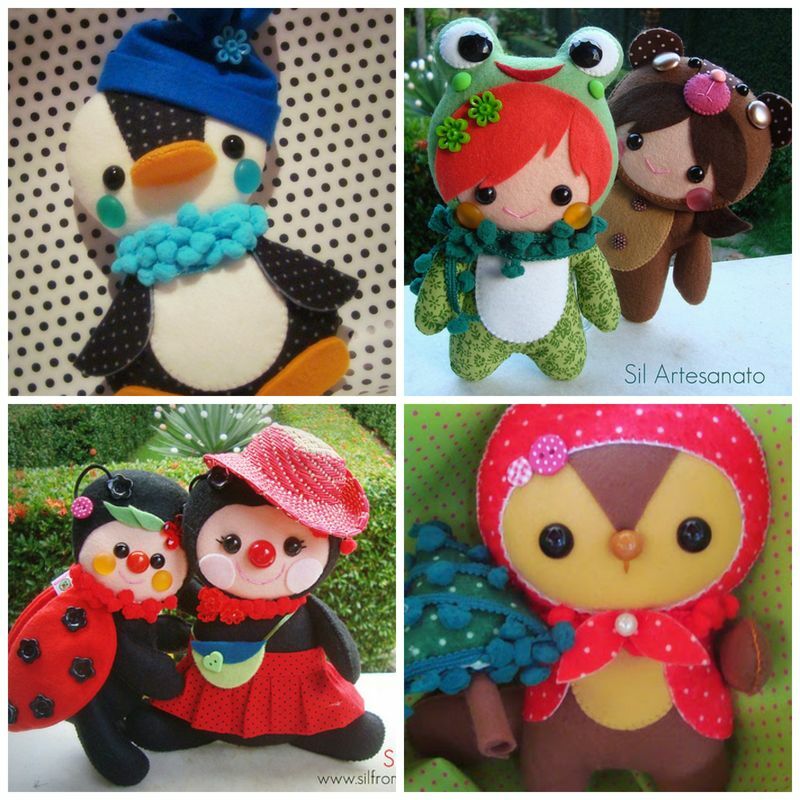 What a nice selection and what a pleasure to discover more plush maker. I knew Andrea Vida and bought some of her plush. I am a big fan of what she creates ! That’s great to discover so much différents artists with the same passion…. These are fantastic, I love seeing different styles of handmade items. It’s so great to see how the same animal can look so different depending on who made it. I love Zooguu, Love and a Sandwich, and Fink Toys! 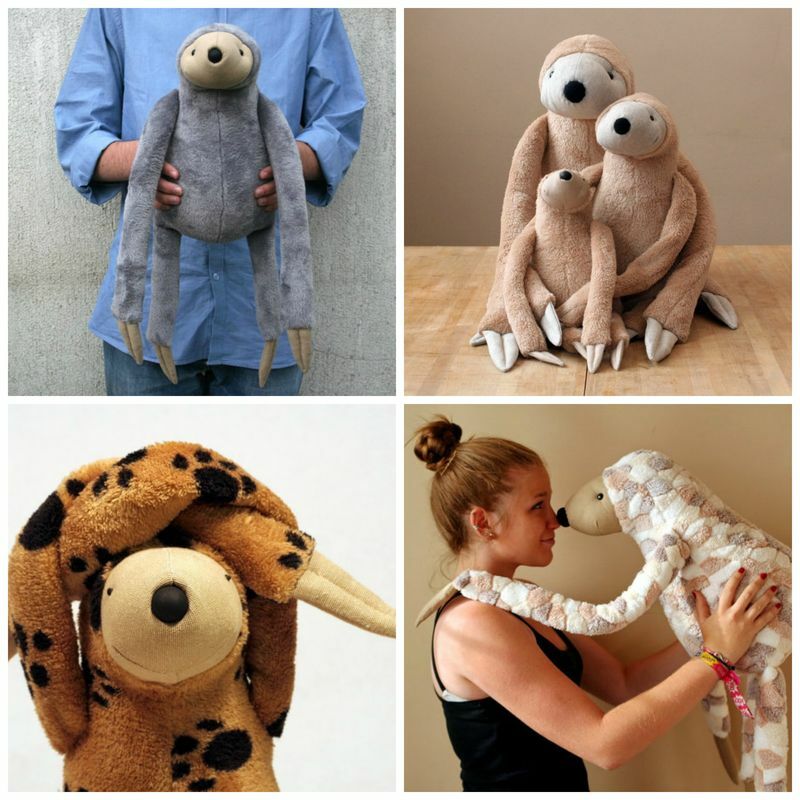 Now I REALLY want a plush sloth….. This is fun! thank you for sharing! 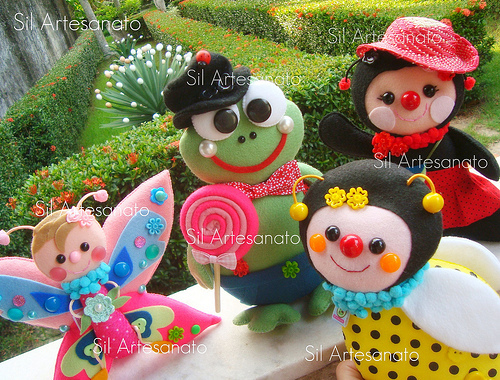 I am a mother of two lovely daughters, & during my childhood years, i used to make plush toys like that of sil’s work, i used to use buttons for the eyes.After reading your blog i got encouraged to teach my daughters on how to make such great work too.I love Silvana Lobato’s designs it makes me feel young again! I have four of her creations. Love them.